William Harper was born in Tarbrax, Scotland, on 19th January 1898. A talented goalkeeper, he played local football during the early stages of First World War. He joined the British Army and served with the 5th Brigade Scots Guards on the Western Front. Harper also won a heavyweight boxing championship while in the army. Harper joined Hibernian in September 1921. Over the next four years he played in over 100 games and represented his club in two Scottish Cup Finals. Harper developed a reputation for the enormous length of his goal kicks. Harper won his first international cap for Scotland against Northern Ireland on 23rd May 1923. Scotland won the game 1-0. He also played in the games against Wales (2-0) and England (2-2) that season. In November, 1925, Herbert Chapman, the new manager of Arsenal, bought Harper for a transfer fee of £4,000. He made his debut in a 6-1 win over Bury later that month. Harper played in the first 20 games of the 1926-27 season until Tottenham Hotspur beat them 4-2 at Highbury. Chapman was unimpressed with Harper's performance and Dan Lewis now returned to the first-team. At the end of the season Harper emigrated to the United States. Harper played for Fall River until returning to England in September 1930 when he resigned for Arsenal. 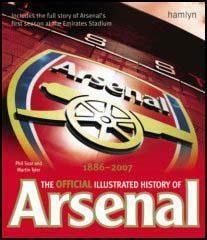 That season Arsenal won their first ever First Division Championship with a record 66 points. 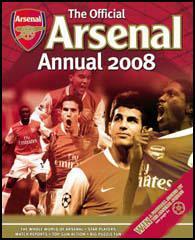 The Gunners only lost four games that season. Jack Lambert was top-scorer with 38 goals. Other important players in the team included Alex James, David Jack, Cliff Bastin, Joe Hulme, Eddie Hapgood, Bob John, Jimmy Brain, Tom Parker, Herbert Roberts, Alf Baker and George Male. Harper retained his place at the beginning of the 1931-32 season until Herbert Chapman signed Frank Moss from Oldham Athletic. Moss made his debut against Chelsea on 21st November 1931 and remained the first-team goalkeeper for the rest of the season. In December 1931 Harper was transferred to Plymouth Argyle. During his time at Arsenal he played in 73 league and cup games for the club. During the Second World War Harper worked at Rosyth Dockyard. In 1945 he was appointed as trainer of Plymouth Argyle. A post he held until 1950 when he became the club's groundsman. Bill Harper died in April 1989.